Rental cars launch, a giveaway and hot holiday parks! Kia ora and happy spring! Our HQ is in Wellington where spring has sprung with vigour. All around this wonderful country, daffodils and lambs are appearing and everything feels fresh. There’s no better time to get out and about, so in this issue we’re stoked to announce the addition of rental cars to Travelbug. We also offer a giveaway, some cool events to head to, and we tell you our favourite choices for a Labour Weekend roadie. As it is time to book your summer break, we also feature holiday parks and the award winning Mercury Bay holiday park. 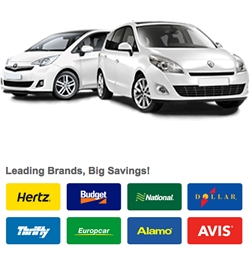 Rental cars now live on Travelbug! Need to pick up a car at Auckland Airport? How about New York’s JFK airport? 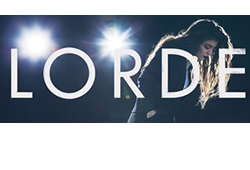 Or Paris’ Gare du Nord? We are thrilled to have launched rental cars on Travelbug. Now you can book all the major car brands including Hertz, Budget, Avis, Thrifty and many more on Travelbug with great deals. I’m so excited I’m going to book a car, I think I’ll need one at Montego Bay in Jamaica – from just $80 for a day! 1. If you’re heading out of Auckland why not try the glories of the Coromandel Peninsula? There are stacks of accommodation options, historical sites and hot water beaches – more than enough fun stuff to fill a long weekend. 2. If you live in the capital and you haven’t done a ‘Rapa roadie, you’re missing out. Get over the Rimutaka hill to Martinborough, Greytown or even Lake Ferry and enjoy the wonders of wine, great food and relaxation. 3. Live in Christchurch? Treat yourself to a drive through the Arthur’s Pass across to Kumara Junction. From there the glorious West Coast is all yours. Hokitika, Greymouth, Punakaiki and more! 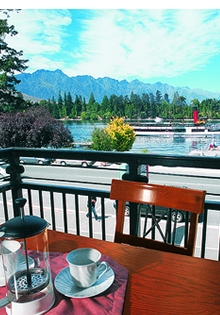 BreakFree The Waterfront offers uninterrupted views of Lake Wakatipu from every window. Is there a better way to unwind after a day in the Alps, than to retreat to the cosy comfort of your fully self-contained apartment and watch the world go by? To be in with a chance to win a night in a 2-bedroom apartment, you just need to tell us how far away from the lake they are. Easy! As I may have said already, we’ve now got rental cars on Travelbug. With rates from Avis, Budget, Thrifty, Hertz and more worldwide, you’re sure to find a great deal. To find the best deal, look out for a few key features and have a look at this Auckland airport search as an example. Read the reviews left by previous renters, look for the deals (3-day rates start to get really cheap) and watch for the inclusions. Some companies offer great added extras like free collision damage waiver, free cancellation and even free additional drivers. So next time you need a car – anywhere around the world – book with Travelbug and save! They used to be called camping grounds, but now they’re so much more. Holiday parks are possibly the greatest place to spend a good old Kiwi summer holiday and there are 140 parks all around NZ to book on Travelbug. Great family choice – with open spaces, plenty to do and a range of accommodation, holiday parks are fun and family friendly. Many holiday parks provide facilities to keep children entertained and busy. 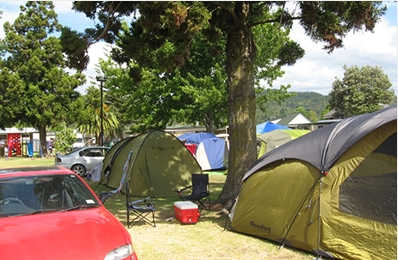 Not just tents – from tent and caravan sites, to fully equipped motel units, holiday parks provide accommodation options to meet any requirements. Authentic Kiwi experience – a holiday park is much more than just a place to stay; it is an authentic New Zealand experience. Many families choose to return every year to the same holiday park where they enjoy a special relationship with other guests and the environment. Meet new people, or old friends – holiday parks are a great place to meet new people, and enjoy the company of like-minded travellers from New Zealand and around the world. Great locations – our holiday parks can be found in highly desirable locations on lakes, beaches and rivers throughout NZ. Many have their own unique sights and activities both inside the park gates and outside. Helena and Craig Stratford from the Mercury Bay Holiday Park in Whitianga won the Holiday Association of New Zealand’s top prize this year, so I gave them a call and asked them what makes them so special. "Obviously we are!" said Helena, and from talking with her for a while I’d have to agree. Helena reckons their guests get a warm welcome and feel comfortable and safe. "We’re a small park, so people don’t feel ‘lost’," she says. The Stratfords left a life in Wellington for the Coromandel five years ago and ended up managing the park (not something they planned on) and have never looked back. Guests at their park tend to be relaxed, easy-going and enjoy socialising and it is the sort of park where people return year after year. This year they’ve got one couple returning for their 40th year! If you’re keen on a camping trip in the gorgeous Coromandel, this park seems like a great choice. And what’s the hottest camping accessory this year? Craig reckons a beer fridge but Helena says LED tent lights with remotes are all the rage. Thanks for reading, as you can tell we’re pretty thrilled that spring is here and summer is on the way. So go on, have fun booking worldwide cars and Labour Weekend roadies. And do make sure you get to one of our amazing holiday parks this year, you’ll have a blast.